Memphis Horns Vibe with Contemporary West Coast Blues; Modern Soul Blues. 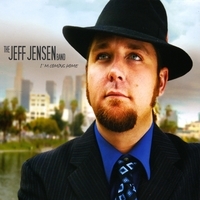 The awaited follow-up album “I’m Coming Home” from the Jeff Jensen Band is here. This is a contemporary west-coast blues album with many outside influences; such as Swing, the Memphis Horns, Jump Blues and Soul. It features seven original tracks, and four old blues and swing tributes. This is an album anyone that enjoys real musicians playing real music will love. I can't stop listening to this CD! Wonderful voice and wonderful instruments! Can't wait for the next CD.